The Shopper's Dilemma: To Shun Or Embrace The Center Aisles? –The astute academic or health professional: You have a degree (one or more) in nutrition, you have PubMed bookmarked on your internet browser, and you spend your days dispelling nutrition myths and/or researching the next nutrition breakthrough. –The health foodie. You scour wholesome recipes online, you already know the nutrition trends for 2019, you make detailed grocery lists like it’s your job, you’re a #mealprepsunday veteran, and always know where to find the best deals for natural/organic/raw/fresh eats. –The bachelor/broke student: Is it cheap? Edible? Delicious? Easy to prepare? If yes, it goes in the cart. –The athlete with phenomenal sport skills, and (developing) culinary know-how: You know that the foods you eat influence your athletic performance. You are game for eating better, under one condition: you need quick/easy foods that pack a nutritional punch. –The busy parent: There are lunches to make, picky eaters to feed, and you can’t remember the last time you enjoyed a calm, healthy mealtime at home. Grocery shopping is typically a stressful battle between your healthy intentions, and the little ones’ demands for sugary cereals and flashy marketing. There are never enough hours in the day. We really do have good intentions; We want to eat well. -Steer clear of the middle aisles! The way I see it, there are two types of people in this world: Those who love the center aisles (but could use a little strategy for picking the best options), and those who openly shun those aisles (but are secretly curious to explore the forbidden foods within). As a health professional, it’s my duty to pass along this tried-and-true advice. But as a real-life RD on a budget, I hear you: Those middle aisles are mighty tempting, so what’s a guy/girl to do? Take a deep breath, direct that grocery cart towards those center aisles, keep your eye on the prize and walk with intention because you have a fool-proof plan. Healthy shoppers, unite! 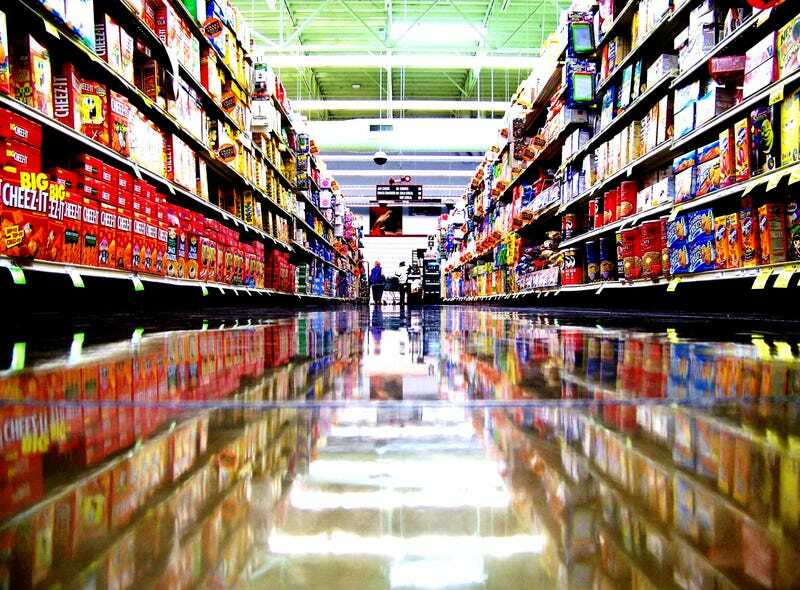 Today, you’ll conquer those middle aisles like the savvy consumer you are. Fruits and vegetables: Frozen is your friend! These items are picked at peak ripeness and flash-frozen immediately afterwards. Canned items are fine as well (in light syrup or water). Can you get all colors of the rainbow? Not everyone has a nutrition coach by their side, but you, ASN reader, have an edge. Use this guide to confidently navigate the previously forbidden center aisles. Print it, internalize it, share it. No nonsense, no gimmicks. Blasphemy? Hardly. Creative and backed in science? Absolutely. https://nutrition.org/wp-content/uploads/2018/06/iStock_80904063_MEDIUM-600x279.jpg 279 600 Sarah Dimitratos https://nutrition.org/wp-content/uploads/2016/10/asn-logo-2.gif Sarah Dimitratos2018-06-21 21:32:512019-01-31 09:58:52The shopper’s Dilemma: To Shun Or Embrace The Center Aisles?